The Dino-Eye Premier AM7023 digital eyepiece's 5MP resolution provides large detailed images with image sizes up to 2592×1944. 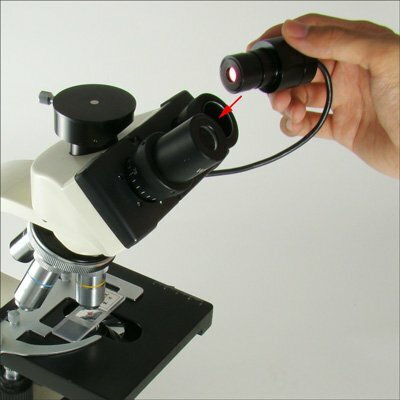 The eyepiece fits traditional microscopes with 23 mm diameter and 23 mm eyepiece barrels. Simply remove the optical eyepiece and insert the Dino-Eye to digitalize your microscopy experience..
Operating System: All Windows versions from XP, Mac OS X 10.5 or above.